No less than seven representatives of Darnlaw Farm (prefix: Townlaw) – including six of them scoring EX – passed the milestone of 100,000 kg in 2018. 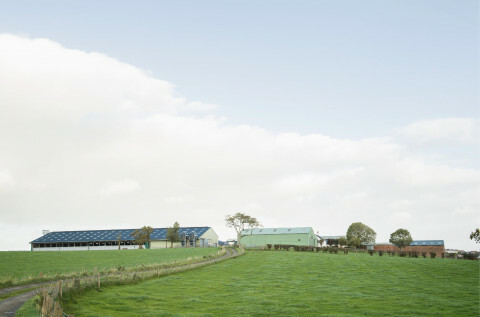 In the modern free-stall barn of the Sloan family in Scotland, 180 beautiful Holsteins combine high average production with a low herd turnover, the result of years of selection for type and passionately working with strong breeding cow families. Proven breeding skill, for which father Bryce and son Robert receiving a well-deserved British Master Breeder title in 2018. The minute we stepped out of the car we knew it was going to be a good visit. Following a miserable, cold and wet morning, the rising spring sun was now beaming down. Later we would discover that this warm welcome was a reflection on the Patrick family’s kind-hearted personality and also their cows… which, for type enthusiasts, were hot property! Impressive. That is the right word – and certainly not an overstatement – to describe the entire herd of father Rolland and son Marc-André Dubois in Quebec. What powerful type, what a high production level and what a variety of talent in the herd. Both black and red & white. This top quality is also expressed in the statistics: an average production of 11,000 kg 4.2% 3.4%, a type summary of 40 EX (!) and 38 VG cows for the 78 milking cows, Right, at Rolandale we find nothing lower than VG. Do not miss this story about two very engaged breeding enthusiasts: father and son Dubois, the breeders at Rolandale. 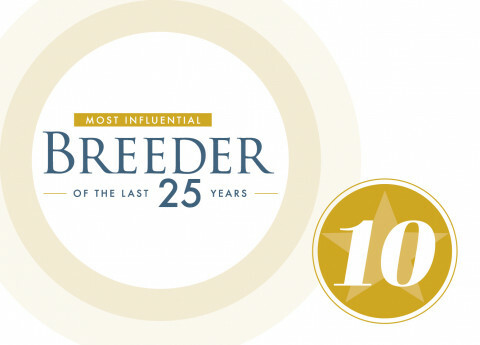 The results are complete: the top-25 most influential breeders of the past 25 years. But, as promised, the results will appear one month at a time. Appearing in HI’s previous issue was number 10 (Pine-Tree); now it is time for Number 9. And so we will proceed until December, when the number 1 will be presented. Then you will have the complete top-10. At the same, a HI book will appear in December with reports about all of the 25 most influential breeders! But… now time for number 9: Mil-R-Mor owned by Bob Miller in the US. As mentioned earlier: this article is written based on information already known by HI so that the surprise for Miller will also last until the publication of this issue! Next month, the Mil-R-Mor interview; this month an interview with number 10 Pine-Tree elsewhere in this issue. This Stormatic daughter (photo) produced 305,000 lb/138,630 kg Young daughters of Elevation, Astronaut and Bootmaker follow in her footsteps! Highly remarkable: a herd of 150 Holstein cows with 25 daughters of Paclamar Astronaut, Paclamar Bootmaker and Round Oak Rag Apple Elevation! And: more of their daughters are on the way. In the meantime, the first two-year-olds by Pawnee Farm Arlinda Chief are coming into production; ‘Fantastic 2-year-olds,’ tells breeder Blake Hansen (40) from Hansen Dairy in Iowa, who is now using Blackstar and Sexation as well. Yes, we are writing in 2019, but these legends were born 45 years ago, or longer. Why is Blake using these sires? 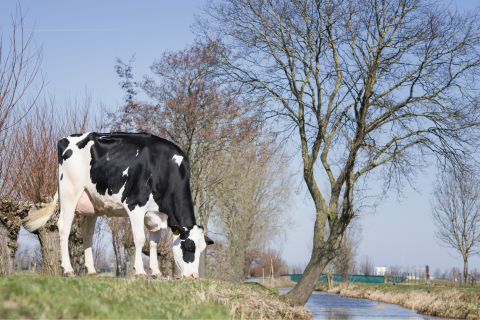 The European Holstein Show returns to Belgium! 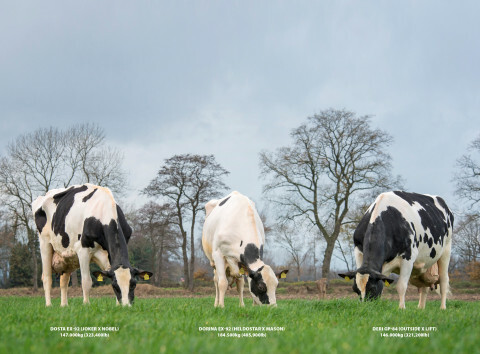 Fifteen years after the last of various editions in the Belgian capital of Brussels, on April 9 the most beautiful Holsteins from thirteen European countries will gather in Libramont. Visitors can count on a show of the very highest calibre with a visual décor never seen before. Libramont 2019 is especially geared towards the passion for the Holstein cow and her breeders. HI experienced this during a tour of the southern Belgian region of Wallonia and stops at the farms of four prominent breeders. The village of Pepin in central-western Wisconsin lies on the shores of Lake Pepin and the Mississippi River. It used to be very much a farming community, but today it’s a tourist village with fancy restaurants and a boating harbour. 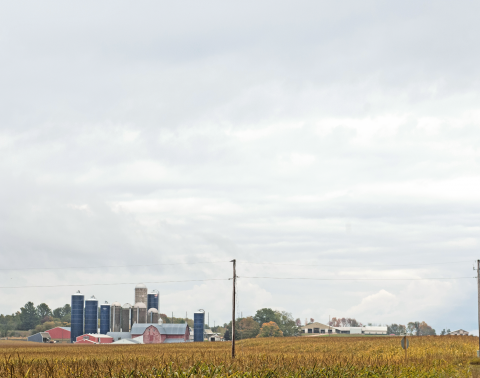 In the hills just outside of town the Raethke family has farmed for generations. You can actually see the mighty Mississippi from their R Green-Acres farm where they register their Holsteins using the “Pride” prefix. It’s hard to believe! Wescoast Holsteins was only formed in 2010 and yet it has already become a major force in the breed. They’ve paraded champions at North America’s major shows and they’ve also bred young bulls that rank near the top of the genomic sire lists. 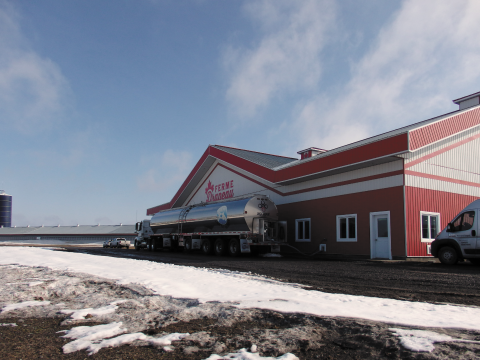 Here is a behind-the-scenes look at Westcoast Holsteins. 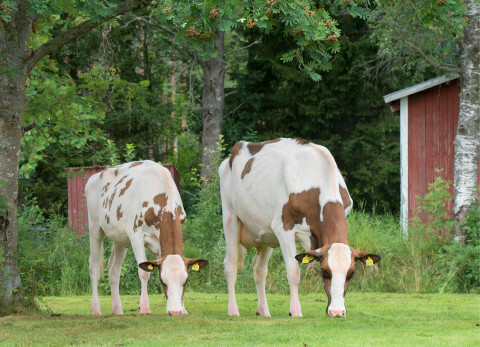 To keep his fairly large Tirsvad program successful, the Danish breeder Søren Ernst Madsen prefers to work with cow families that can generate high sires in various index systems. The Neblinas are definitely making good on this wish. This family portrait takes us to no less than nine European countries: And likely in the future to North America, given the high gTPIs within two family branches. Here is #10 of the most influential breeders during the past 25 years: Pine-Tree! The votes have been counted. That took much longer than we had expected. Never before in HI’s 25 years of existence has a competition drawn so much participation. The steady stream of voting cards continued for a long time – and every card meant significant points, points for the 100 breeders who are candidates in HI’s unique competition: Who are the most influential breeders from the past 25 years? All 100 candidates were published in HI’s recent January issue – complete with a voting card. Subsequently a storm of enthusiastic responses and an unparalleled stream of voting cards followed, by mail and digitally. As mentioned: all of the votes have now been counted. The results are known. And now each month, we will feature one of the ten that ended up highest. Here we begin, with number ten: Pine-Tree! 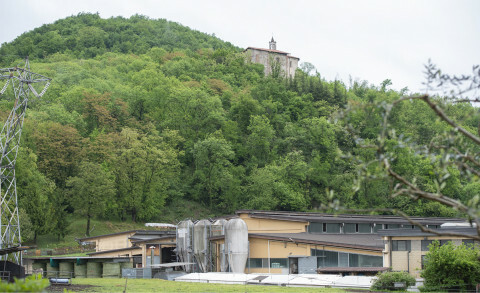 AI companies like Inseme, Intermizoo, ABS and Semex keep a close eye on this Italian farm: Cristella, owned by the Marchi-Balestreri family. 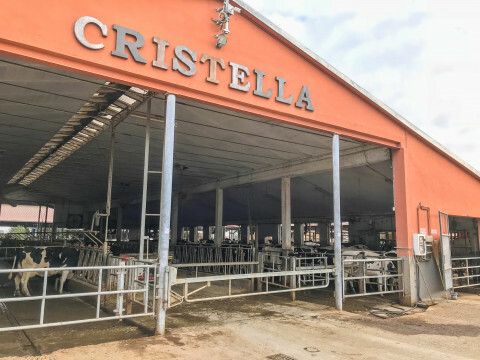 That is not surprising, because for a number of years already, Cristella has been making steady progress, with high DNA indexes achieved with their own cow families. In the meantime, they have eight females >2700 gTPI and eleven >4000 gPFT. The foundation for this was laid more than 50 years ago, when grandfather Franco brought the imposing bull Hanoverhill Rocky to this impressive herd. This is the Cristella story. 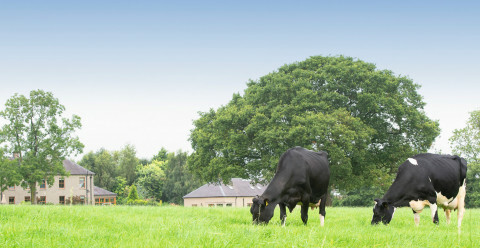 The three main rules of marketing are location, location, location... and in that regard, Luck-E Holsteins fulfills them all. 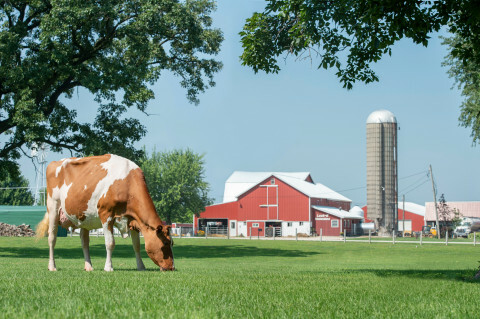 Located just 10 minutes off the main interstate highway that runs between the O’Hara International Airport in Chicago and the World Dairy Expo in Madison, Luck-E recieves hundreds of international visitors each year, especially at Expo time. And what a tremendous herd of cows waits to greet them! In December 2017, he debuted in the top position of the prestigious top-200 for DNA bulls in the US. In the meantime, he has remained stable in the top-3. We are talking about Hurtgenlea Richard Charl, who combines 2920 gTPI with 1075 gNM$. He is a son of DG Charley from the powerful 4-year-old Hurtgenlea Yoder Modesto VG-86, who became a “Dam of Merit” at a young age. Yes, with Charl and Modesto, we are considering two jewels from the modern Hurtgenlea herd owned by the Hurtgen family from Elkhorn, Wisconsin. Are they surprising, Charl and Modesto? Absolutely not, so read along to discover the quality demonstrated by both Hurtgenlea and the Marissa family for generations already. ‘We do not have the best land, or the best buildings, or the best cows, and yet, in one way or another, it works.’ He would never admit it himself, but his wife Gea de Vries nods in agreement: the high average production at Hemrik Holsteins, located in the similarly named town in the northern Dutch province of Friesland, is in no small measure due to Brand Jan de Haan. Breeding, nutrition, management; in every possible area, year after year, De Haan puts a lot of energy into the production potential of his herd. The likelihood is great that she is the world’s most influential Holstein cow of all time: Wesswood-HC Rudy Missy. In 2014, she was selected as the Global Cow in HI, after ending up in second place in 2012 and 2013. In their evaluation as judges, Ryan Starkenburg (ABS) and Hartwig Meinikmann (RUW) were very impressed with Missy. We will name just four of the numerous bulls that were mentioned at the time in praise of Missy’s influence: Mogul, Supersire, Silver and Balisto. In the meantime, of course, that group has grown exponentially, which justifies the following question: has any other cow family provided more influential bulls? Rudy Missy may then be called the most powerful cow of the Holstein breed. And while we have had regular contact with her owners, the Steiner family from Pine-Tree, Missy’s breeders never came on the radar. Now we are changing that. After all, their contribution to the Holstein breed in the year 2019 is immense! Martintown is a quiet village in the very east of Ontario halfway between Ottawa and Montreal. 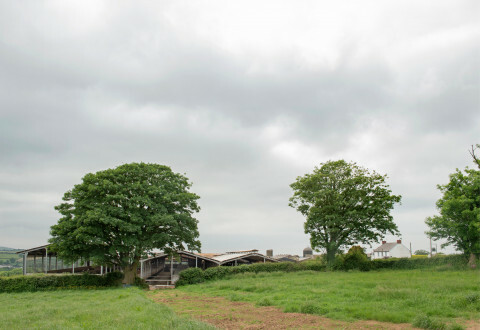 It is here amongst gently rolling farmland at the end of a long lane that we find Cherry Crest. Over the years a number of big-name cows have been at home in this barn and members of some impressive cow families are now on display. Bingo! That may certainly be said about the young bull Eildon-Tweed Sam British, as he now scores 2961 gTPI. His arrival is a new highlight in the rich career of David Wood, on whose enterprise, Eildon Tweed Farm in the American state of New York, business economics is the standard and where the high-protein Chapter family is flourishing. Davide Errera has two big hobbies: soccer – FC Internationale Milano (Inter) – and show cows. With the latter, he experienced a splendid highlight this past October: Jamagro Goldwyn Jasmin was victorious at Italy’s National Championship. But those who think that all of Errera’s attention is focused on show animals, is mistaken. 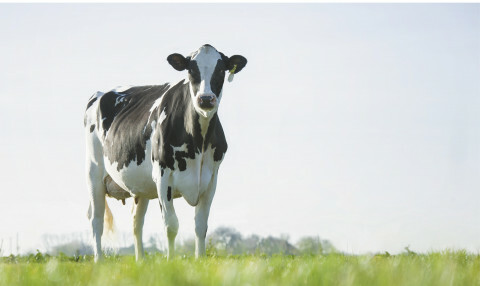 With consistent breeding, strict management and balanced nutrition, the 120 commercial dairy cows in his herd average 12,500 kg with 3.47% protein. This high quality milk provides the foundation for the regional cheese specialty Grana Padano. 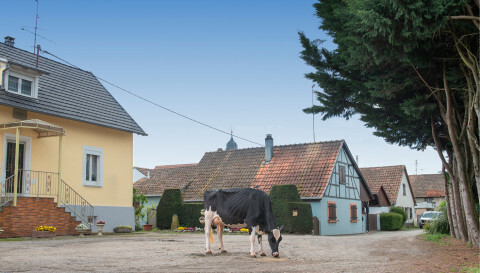 At 13,951kg, the 50-cow herd that Christoph and Wilhelm Eberhard milk at their meticulously cared for farm in the west German municipality of Kalkar had the highest milk production of all herds in Germany for 2017. This year their average has increased to over 14,000kg which will make it hard to push the Eberhards out of top spot. More interesting than the production of the powerful herd are the reasons for its performance. The vision and viewpoints that Christoph Eberhard represents are as simple as they are logical. And they are relatively successful. It is something worth reading about. 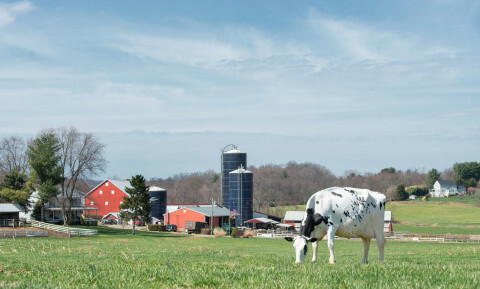 On the cover of this HI edition, you already became acquainted with this farm: Kiko Holsteins from the American state of Ohio. On the cover picture is Elisabeth Kiko with herd favourite Kiko Gold Chip Maddie, who is also featured on the accompanying main picture. With them, we come across a true family enterprise, because the Kikos not only have a large family, but at the same time display an extensive, shared passion for their Holsteins. They know how to perform well on every front – read all about it in this report. ‘We use bulls that tick every box.’ With this statement, Chris Durrer gives a clear indication of the goal he has in mind. For years already, Lorita Holsteins has pursued type, but traits like production, fitness and fertility are certainly not being forgotten. With the result that cows last longer and produce more. In the meantime, the type level is reaching great heights. At least 120 animals score above 3.00 gPTAT and the highest, Lorita Doc Leah, is even at 4.36 gPTAT. The Trio Group of Companies was working with Simmentals but shifted to Holstein cows shortly after it got acquainted with this breed. Today Trio is increasing its business, working hard to achieve milk yields that can be groundbreaking for the Russian dairy industry. Russian reporter Vladislav Vorotnikov talked to Evgenia Uvarkina, chairman of the board at Trio, and wrote this Russian herd report for HI. 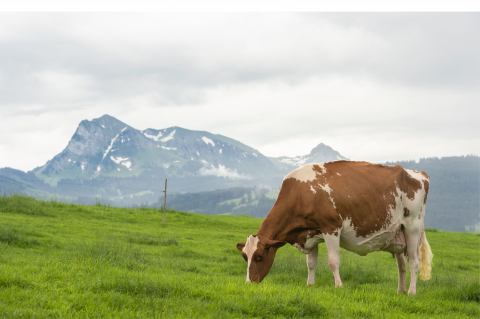 Numerous northern Italian Holstein farms – located at the base of the powerful Alps – have a background as Brown Swiss herds: Or the “bruna”, the original brown cattle from the Alps. Many of them later transitioned to Holsteins. That is also true for the Ceresio herd owned by the Martinellis. Their transition worked out splendidly because the Ceresio prefix is now widely known within and beyond Italy, thanks to a continual stream of elite genetics. 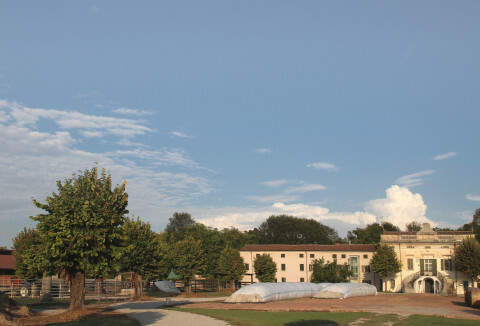 Join HI as we travel to this attractive breeder’s herd close to Varese. The modern, picturesque farmstead overlooks the Trent River near Hastings, Ontario, an hour east of Toronto. 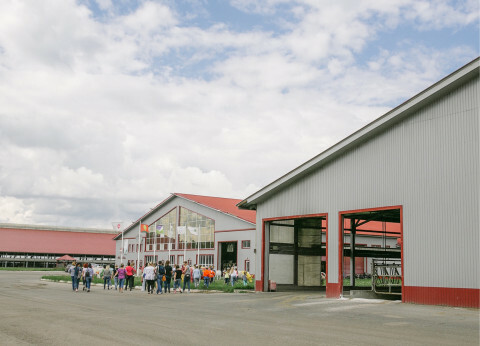 Inside the state-of-the-art barns a high-type herd including numerous show winners help to make Crovalley a true showcase for Canadian Holsteins. Last year she completed her lactation with the highest milk figures ever recorded: Selz-Pralle Aftershock 3918 VG-88 produced 5.11 3x 365 78,170lb (35,457kg) 4.0% fat 3.3% protein. We visited the Wisconsin home of this world record holder to discover all that goes into developing a production champion. 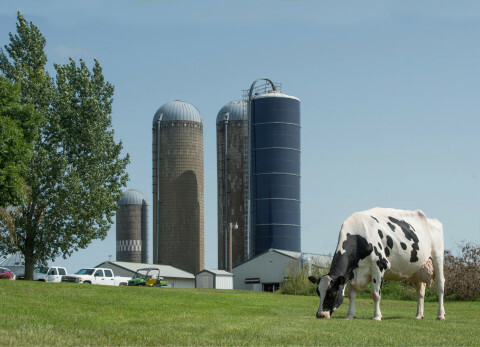 Holstein International regularly receives tips from readers, from all over the world. We are always pleased because the tips are frequently valuable. And so at the beginning of this year, we received an almost secretive tip from Switzerland. ‘Our brother will stop milking at the end of the year. You will certainly find it special to visit him while the cows are still in the barn, before he sells,’ is a summary of the text. 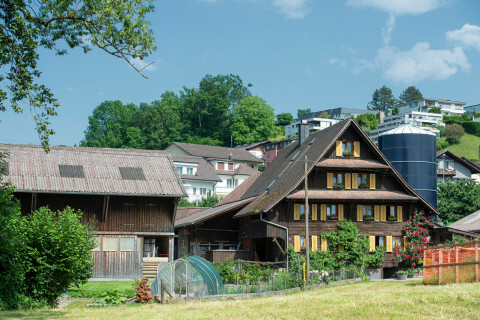 Today, we say: Irene and Markus Schmid, thank you so much for that tip because it allowed us to arrive in time at what turned out to be Switzerland’s highest production herd: Emil’s Ranch, managed by Emil Schmid in the municipality of Baar. 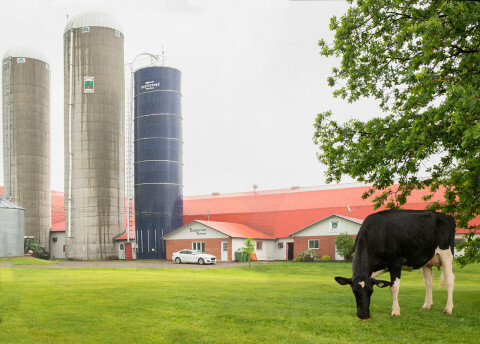 40 minutes west of Quebec City and within 20 km of the south shore of the St. Lawrence River is one of Quebec’s largest dairy operations, Ferme Drapeau. The farm is run by Dominic Drapeau and his wife Celia Neault, together with Dominic’s parents Michel Drapeau and Sylvie Belanger. 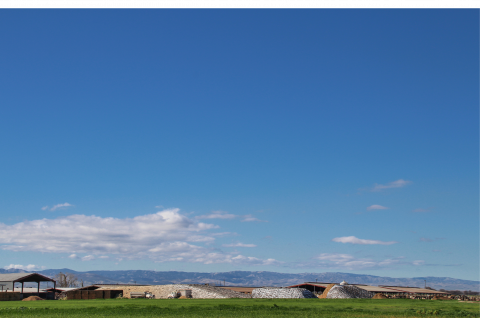 They milk 750 cows and crop 4,500 acres (1822 ha) of land. Roylane Robust: Roylane Jordan: Roylane Mindy: Three giants in Holstein breeding. And in their wake are strong transmitters like Roylane Bob and Roylane Punch, all originating from the Roylane herd. However, you hardly read about this successful herd. The reason for that is two-fold. First of all, the farm is situated in a remote part of the American state of Washington, which is already remote. And secondly, the Roylane breeders are modest and prefer to remain in the shadows. 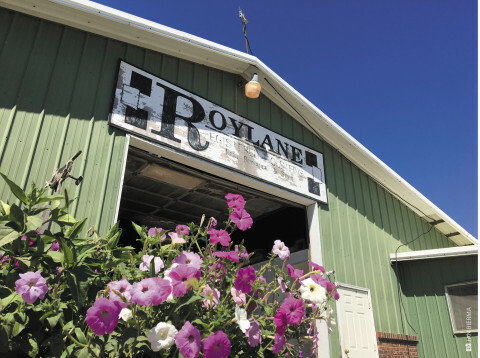 But: thanks to the assistance of Dan Reynolds (from Monument Holsteins), the farm manager at Roylane for years, HI received the opportunity to get an impression of Roylane. Here is the Roylane story! In January 2008, DT Spottie adorned the cover of HI’s “Excellency Issue”. 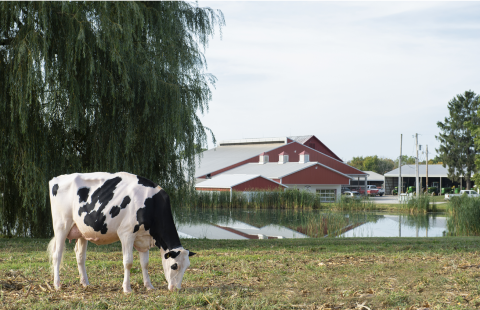 More than ten years later, the EX-93 Derry from the Prelude Spottie family is still alive and well on the Hahn/Radke farm, where she provided four EX daughters. 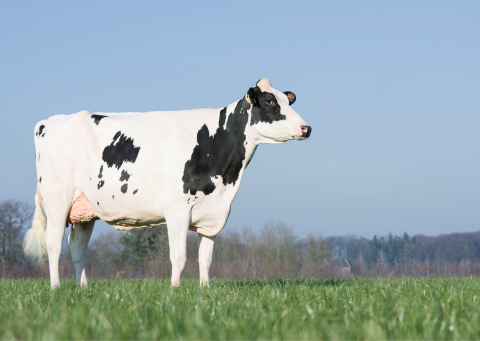 The powerful quartet includes the 12-year-old Shottle daughter Fux Spotlight EX-95 and Fux Seattle EX-92 – a daughter of Hahn/Radke’s favourite bull Gold Chip and the picture cow for this report. It is precisely the Spottie family that forms the heart of this downright impressive herd – both for type and production – in the southern part of the German state of Saxony. 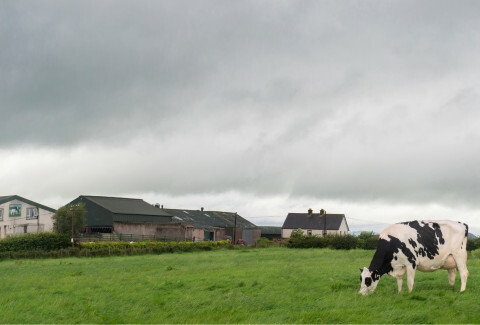 A short 3-mile, north-easterly drive out of Portadown town in Northern Ireland lies an industrious Holstein hub. Breed-leading type is what you will find in this impressive herd, which has collected a number of the world’s greatest type pedigrees. 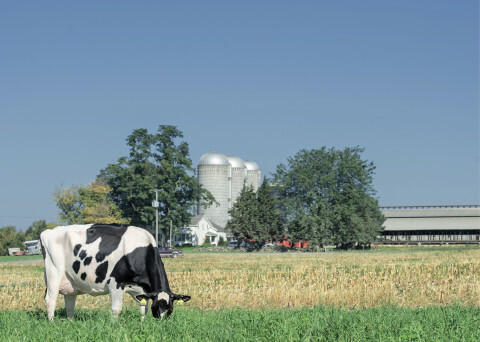 Join us as we investigate Glasson Holsteins! 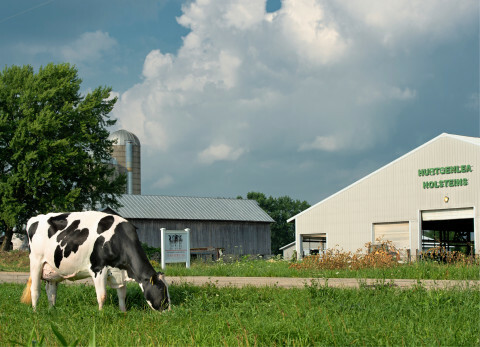 The “Legend Dairy” prefix has been a household name for decades in American Holstein breeding. The Californian herd of Ron Pietersma has turned out to be an unprecedented breeding pond of numerous strong cow families who stand out for production, longevity and type. 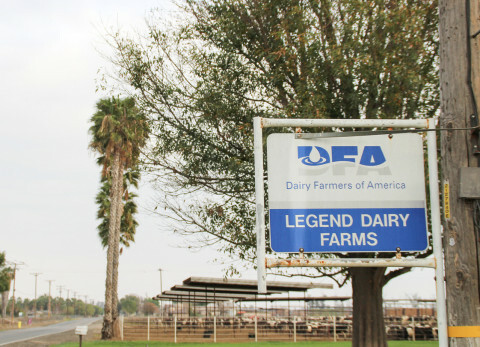 In terms of excellent cows, Legend Dairy is currently even in the American top-5. 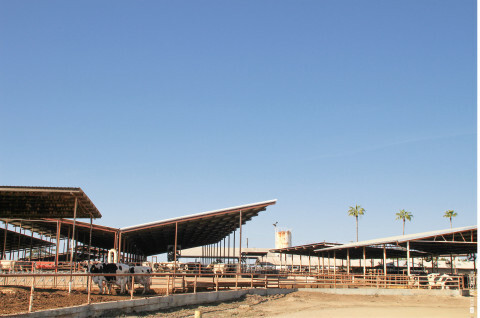 HI travelled to Chino and spoke with one of the seniors in Holstein breeding, who deems the “magic cross” to be a significant key to success. ‘Right now, we have 850 ET pregnancies.’ Not only is the size of Leaninghouse Holsteins, as described by manager Les Terpstra, impressive. The relatively new elite breeding program at Rock Hill Dairy in New Mexico especially stands out for its achievements, evident recently with DNA tested top bulls like Big Bubba and House. Behind the quickly moving success is a modern and methodically executed breeding program and rock-solid confidence in the strength of cow families and proven pedigrees. It had never been achieved before: Five full sisters all made the CTPI top-100 list at thesame time! That magical moment belonged to 5 young Goldwyn daughters, all scored VG-87 or 88, and bred in the Nova herd belonging to brothers Lance and Ryan Kamm. 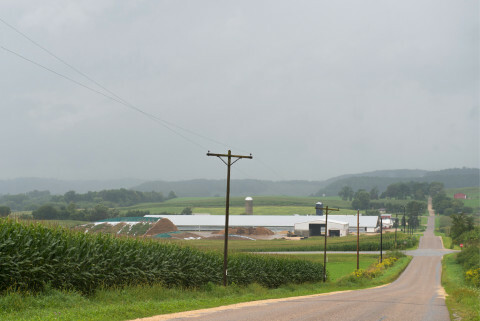 Here is the background story on the Nova herd based in north-west Wisconsin. It achieved all of its goals and more – and realising the Lesperron herd’s breed-leading accomplishments was no easy feat. Read about how Lesperron shot to fame with the intelligent purchase of some special embryos… and how at the end of the year its story will take a new path. 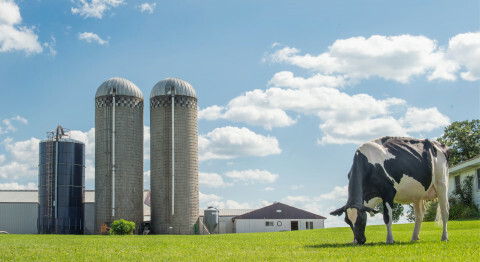 Located right in the heart of Wisconsin, L-L-M Dairy has been increasingly gaining attention over recent years with sale-topping consignments and bulls in AI. This month we put the focus on a herd that has consistently ranked among the top progressive genetics herds in the nation. The name Cosmopolitan brings instant name recognition throughout the Holstein world. This month we take you for a visit to her home in Minnesota, Larcrest, owned by Jon and Ann Larson and their son Tyler. A much talked about article was HI’s recent worldwide investigation to find the herds with the highest number of EX cows worldwide. 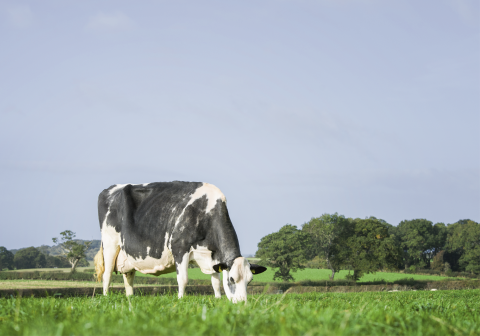 The results showed a clear winner: The 1,600-cow Brynhyfryd herd with a massive 233 EXs. HI travelled to the UK to investigate this Welsh herd that had been forcibly kept under the radar for over a decade. During a 5-day trip around the Maryland area in the US, an outstanding stop was with the Schwartzbeck family. Aggressive, strong, high-type cows with liveability are what you will see in their Peace & Plenty herd. Find out more – here! Selecting consistently for type, balanced nutrition and a French American cow family. 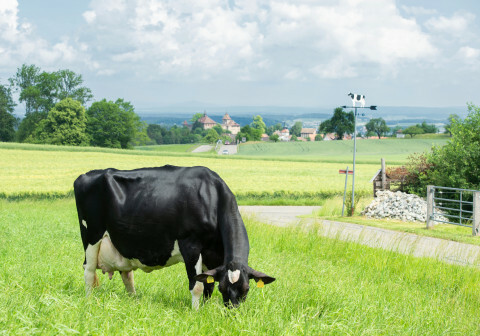 Those are the three most prominent ingredients that make the Riedill herd in eastern France more than noteworthy. And popular with many. With the name of one cow clearly standing out: Tempête. Read her tempestuous story. US Route 20 is one of the longest highways in the entire US, which stretches from Oregon at the Pacific Ocean to Massachusetts at the Atlantic. We find ourselves on Route 20 in the state of New York, which leads us through significant mountains. And since we are looking for Mountfield Holsteins, we expect to find the farm on the next top. We are excited and curious at the same time, because we know we will get to meet the Marshfield family and… Maxine, the dam of Mogul, 12 years old. Upon arrival, all expectations are met. And we hear the miraculous story of Maxine. In terms of milk production, California is still America’s nr.1 state, and within California the most milk is produced in Tulare county. 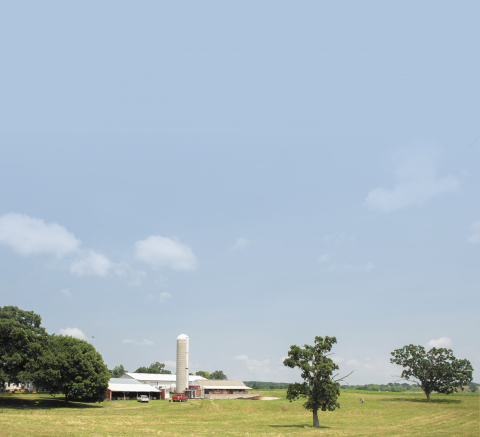 HI’s destination in the walhalla of American dairy farming is Terra Linda Dairy, where besides an annual milk volume of about 50 million lb. (22.7 million kg), there is also a commitment to elite breeding. Since 2014, they have DNA tested all of their female Holsteins and every two weeks, 20 IVF sessions and 4-8 ETs are conducted. With the primary goal of increasing herd production and profitability still further. There are not many barns in Germany that enjoy a comparable international reputation. Martin Ruebesam, the breeder behind the Wiesenfeld prefix, was possessed by breeding. His first imports from the USA and the branches that developed from them revolutionized the type of cow as it was known in Germany. The Wiesenfeld prefix dominated Europe’s show scene around the turn of the millennium like hardly anybody else. Then things calmed some, but Ruebesam remained a possessed breeder: And one who tackled the present, with the same families as earlier but also several new additions. And of course, his unique style and philosophy, which has already brought so much success is still quite special. 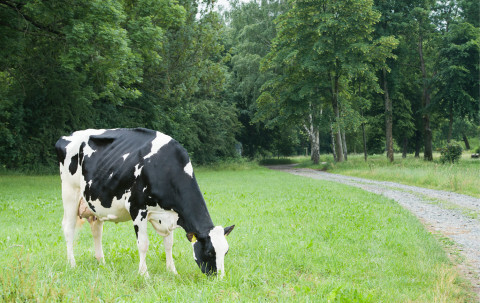 Washington State on the the US Pacific coast is the Nr.10 dairy state of the US and the Nr.4 for average cow production. It’s a state of contrasts with the lush green pastures of the coastal strip quickly giving way to the rugged mountain ranges that rise up forming a barrier to the much dryer inland regions. Feedlot style dairy operations have turned such dryer areas as the Yakima Valley into one of the most productive dairy regions in the country. 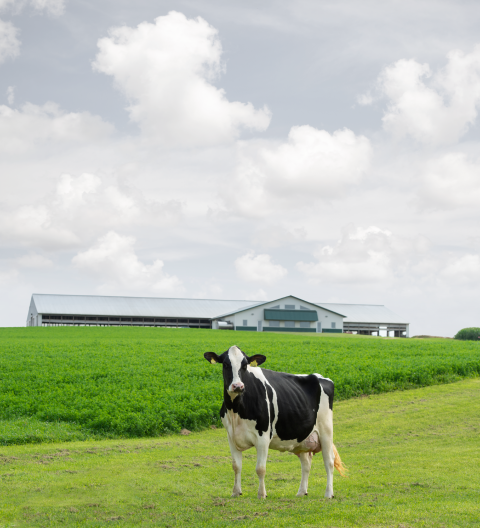 However, it is on the coastal belt that we find Portmann Dairy and their impressive Hol-Star herd. Ralma Juror Faith – the name certainly has a magical ring. Faith is undoubtedly one of the most famous brood cows in the Holstein breed. Her genes are spread all over the world and in numerous countries account for high sale prices, high indexing cows and bulls, and especially, tremendous type. HI visited the source of this powerful cow family, situated in the heart of the American state of Minnesota. Ralma Farm, owned by the Schmitt family, where the impressive 250-head herd descends entirely from this one special Juror daughter. 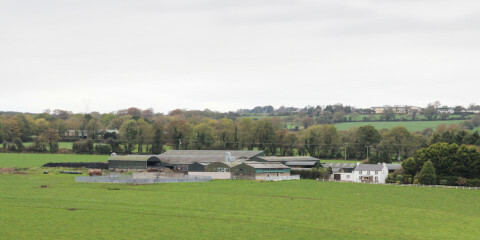 Nestled alongside the River Torrent in the south-east of County Tyrone in Northern Ireland, 5km (3 miles) northwest of Dungannon, lies Donaghmore. 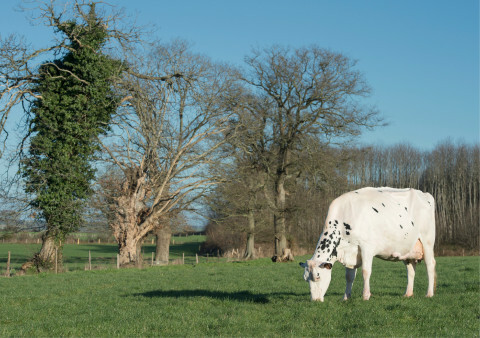 With a population of just over 1,000, this small, quiet village is quite inconspicuous – but in UK Holstein breeding it is a place of excellence, thanks to the McLean family’s Relough herd. 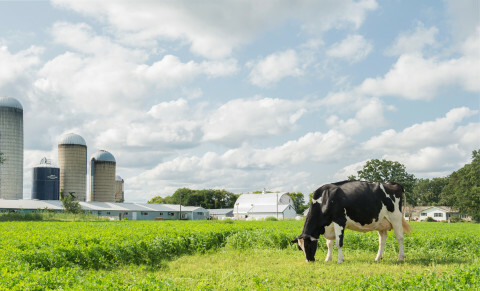 Sunnyside has been a prominent name in Holstein breeding in Wisconsin for almost 100 years. Their deep, home-bred cow families have contributed a solid foundation to many a herd down through the years. Well over 100 Sunnyside bulls have gone to AI, with Sunnyside Standout being one of the iconic sires that has left his mark on the breed. This month we put the focus on the management practices of this highly regarded Holstein breeding operation. Located around 120 miles (200km) north of Halifax in Nova Scotia and 370 miles (600km) east of Quebec City lies the Canadian province, Prince Edward Island. 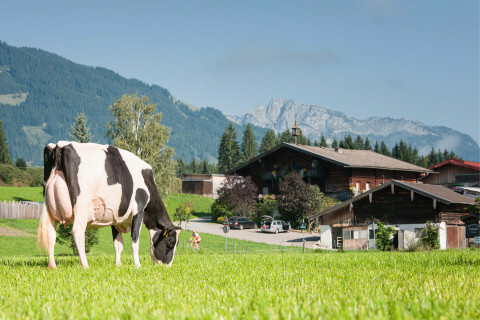 Often noted as a top holiday destination, underneath its tranquil mask is a Holstein industry bursting with talent. 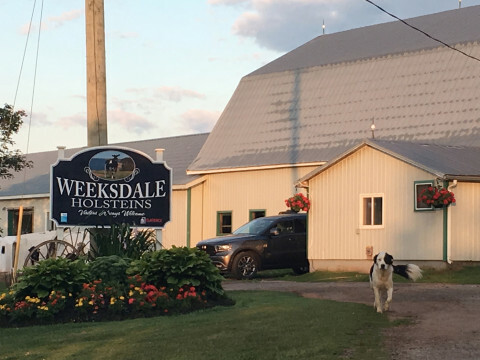 Here we bring you the story of one of the island’s headline herds, Weeksdale Holsteins. 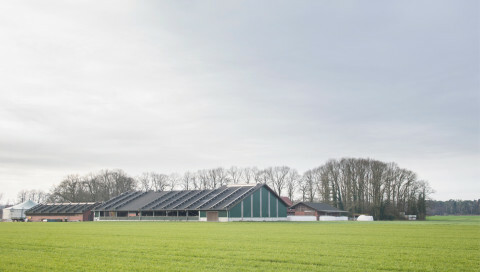 Cees de Jong, the breeder at VOF Jongsteins in the Netherlands, has a passion for Holsteins. He likes to praise the progress made by the breed in recent decades. The same is no less true for representatives in his herd. Together with the unique contributions of partner Barbara, a veterinarian by trade, employee Johan Zwijnenburg and father Goof, he is directing his stylish herd to marvellous achievements. After 13,268 kg in 2017, average production is higher again this year. 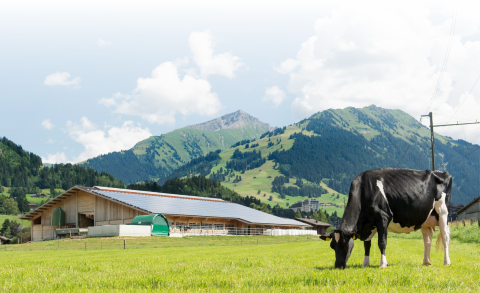 Several months ago, when the Swiss herdbook held its SwissCow Convention at the farm of Alex Gobeli, it was a sign. The event, at which the best breeders in the country are recognized, is a real family affair. And Alex Gobeli, who is a successful building contractor and does not necessarily need to earn his living from his cows, is a part of this large, enthusiastic breeding family. And by now, he is much more. The passion and excitement of Alex and his whole family for pretty cows shows itself in names like Pagewire Delicieuse, Goldywn Ronja, Incas Flavia, or Doorman Jolie. They are names known around the world: Perfect representatives of a herd that by now is known by almost everyone worldwide. Grand Champion at the Royal last fall and Intermediate Champion in 2015, Co-Vale Dempsy Dina is one of the superstars of the show scene in North America. 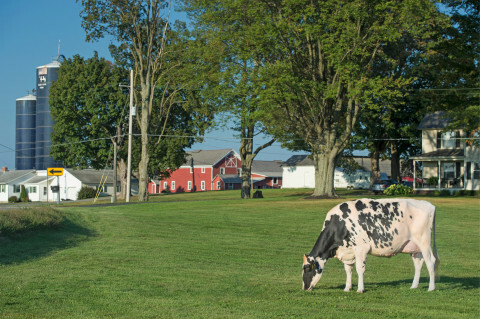 Dina spent her formative years as a young cow at Ransom-Rail, an 1100-cow operation in north-western New York, and they contine to be part owners. 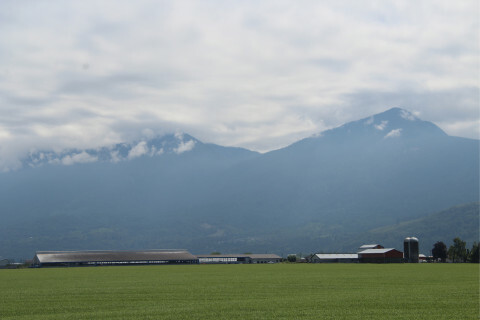 Here is a look at Ransom-Rail Farm, owned by the Dueppengiesser family. There are a large number of farms in Germany that could be put into the same category as Grunewald-Olbing GbR. High-value herds that don’t enjoy any time in the spotlight but still shine through top production from excellent animals: Breeders who have clear philosophies and have a lot to say. Hermann Olbing, who leads Grunewald-Olbing GbR with his wife Anne, is one such breeder. 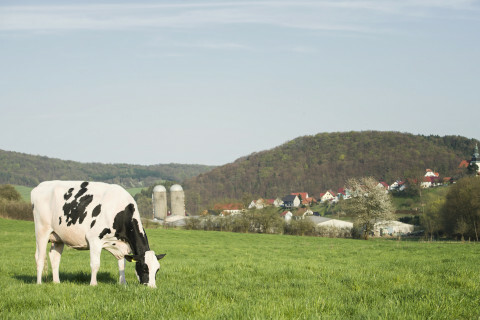 His 115 cows are the highest-producing herd in the category for farms with 100-200 cows in Germany. And they are remarkably pretty and long-lasting. 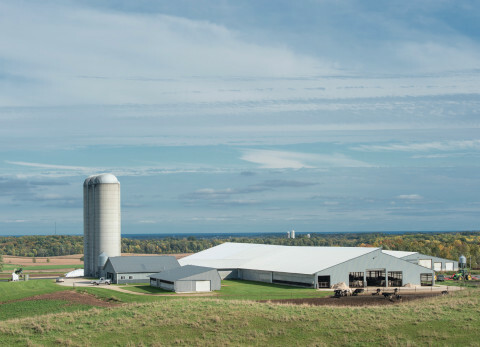 Against recommendations, the new dairy barn at Alfalawn Farm is furnished with large fans on the south side and is fully open on the north end (road side), giving commuters on Wisconsin Highway 72 a clear view inside. This describes the situation at the dairy enterprise of the Styer family, where they do everything in their power to make cows as comfortable as possible, and with outstanding results. And these results are allowed to be shared, is the conviction. The spacious visitors’ area, with a clear view of the 60-stall rotary parlour, is then also filled regularly. Leading Canadian herds host many visitors, especially international tour groups attending the Royal each fall. 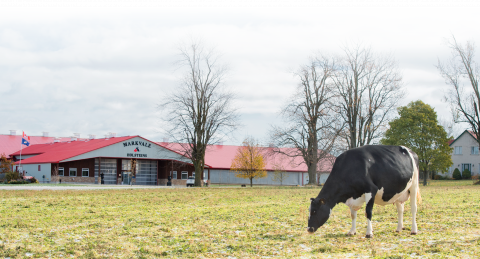 One stop that creates a sparkling impression is the brand new facilities at Markvale Holsteins, close to the main highway just west of Woodstock in western Ontario and owned by Clarence and Wendy Markus. 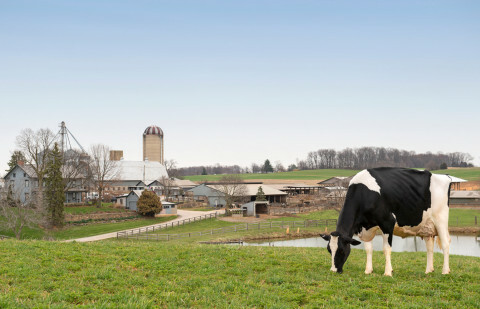 ‘The changes adopted by Holstein USA to reduce the prejudice against small cows has been received by us with applause.’ Dan Weigel, who together with partner Ron Franck determines the direction of Weigeline Holsteins, is crystal clear about his vision. 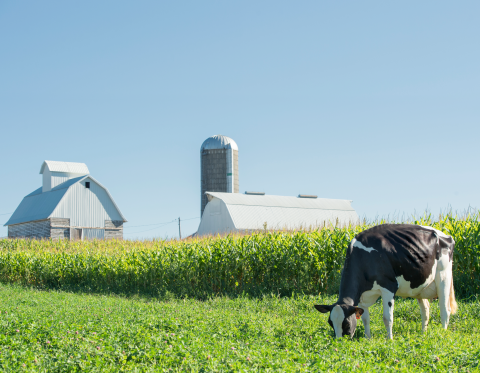 The breeding partners from Iowa have been committed for years to average sized, healthy commercial dairy cows. And, from three carefully constructed cow families they regularly provide sires for AI. When the December HI was sent to thousands of breeders around the world two months ago with the World Champion Poster 2017, there were likely more than a few readers who were disappointed. After all, one special Holstein was not represented. We were also unhappy that a top show-cow like Wiesenfeld Artes Regale would not fit on the poster for lack of space. Austria’s current National Champion would surely have shown several more qualities. Nonetheless, we do not want to withhold Regale from you. 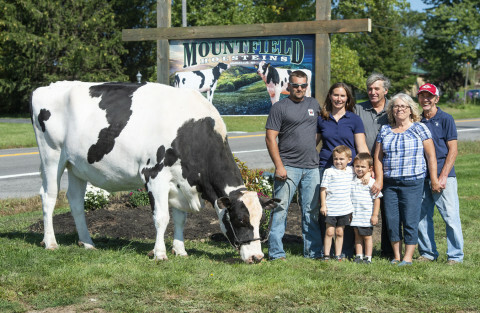 So, here is the story behind this exceptional cow, her many outstanding barn mates and the enthusiastic breeders responsible for her. 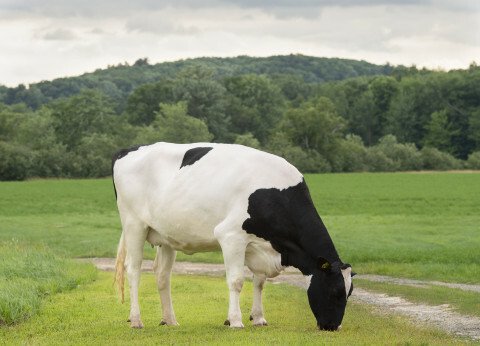 When the Holstein Association recently announced the winners of its Progressive Genetics Herd awards for 2017, the herd with the highest average TPI in the US (at 2450) was Sandy-Valley. 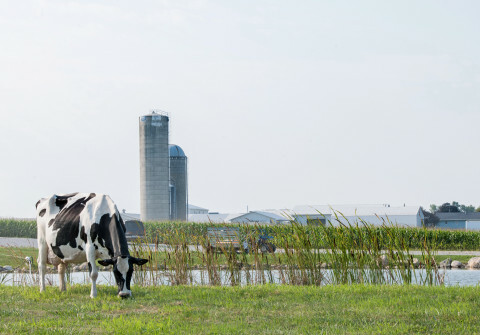 Over the last 3 decades, numerous breed-improving sires have been products of the Bauer family’s 450-cow herd based at Scandinavia, Wisconsin. In this article we focus on some of the key management practices of the highest indexing herd in the US. 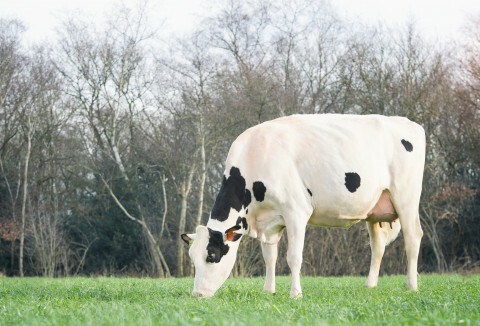 Clear-Echo Ramo 1200 EX-94 has been a finalist in the Global Cow competition, and she is the icon of a family that is making its presence felt around the globe. The Clear-Echo prefix also continues to appear on young bulls entering AI programs every year. This month we take you to an influential New York herd, Clear-Echo, owned by the Peck family. In late 2017, the German RBB Show was won by Manchester, a Holstein cow in her 10th lactation with 100,000 kg to her credit. In itself, that is already quite remarkable. But Manchester’s story becomes even more special due to her home base, Fehrower Agrar in the Spreewald. 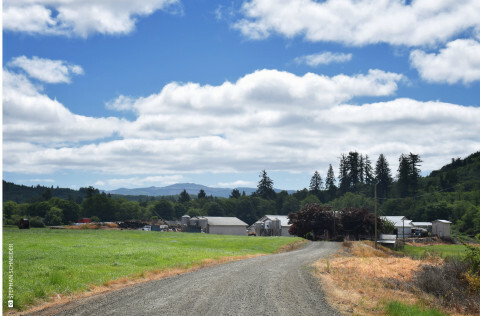 On this dairy farm with 400 head, farming is done very unconventionally; following strict organic methods, with the assistance of homebred bulls and an internally developed 3-way cross. After her unexpected victory at Madison 2016 she became the Holstein talk of the day, world-wide: Sheeknoll Durham Arrow, alias “Thomas”. But the EX-96 Durham and her descendants are not the only eye-catchers in the herd of Robert and Jeannette Sheehan. The family of Sheeknoll Bolton Ariana includes various beautiful milking cows and on top of that provided the Jacoby son Blondin Thunder Storm, at 4.46 gPTAT. ZAO Niva is taking advantage of the highly-productive Holstein cows at its farm in Samara Oblast, Russia. Now there are plans for a major business expansion in the future to come. Russian reporter Vladislav Vorotnikov talked to Inna Uskova, the company’s manager, and wrote this Russian herd report for HI. In France, hardly any prefixes are used. That is unfortunate, because while in North America successful breeders can be identified via their prefixes, in France you have to dig much deeper for the breeder’s name. This is true for example of the French breeding herd, Bodier. For years they have successfully provided bulls for AIs. However, in the absence of a prefix, the name “Bodier” is certainly not known world-wide. Lots of reason then for this report in which we place the limelights on Gaec Bodier. 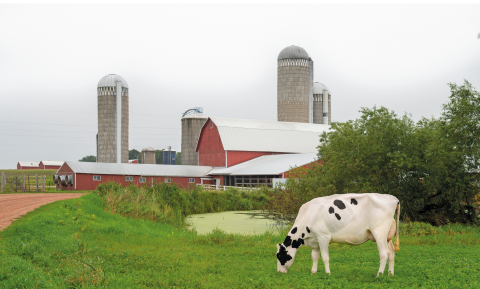 Last April, HI published an article about the deep F family at Melarry, and now – eight months later – the breeding enterprise from Minnesota has its own report. Rightfully so, because besides the F branch, the milking herd of 175 head also has 2 other strong breeding families. In addition, last year the Hacketts sold no less than 17 sires to AIs. And 13 the previous year, including the popular sire of sons Melarry Josuper Frazzled. We apologise! 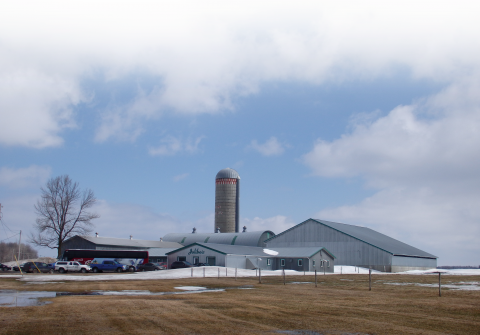 11 generations of family farming, a large herd, breed-leading genomics and top type animals… There’s simply too much to write about Oakfield Corners Dairy in 2 pages – but we will give it our best shot! Here is the story of this dominating herd.